One of the best and tried way to grow your business is through email marketing. This will help you in generating more sales and leads. 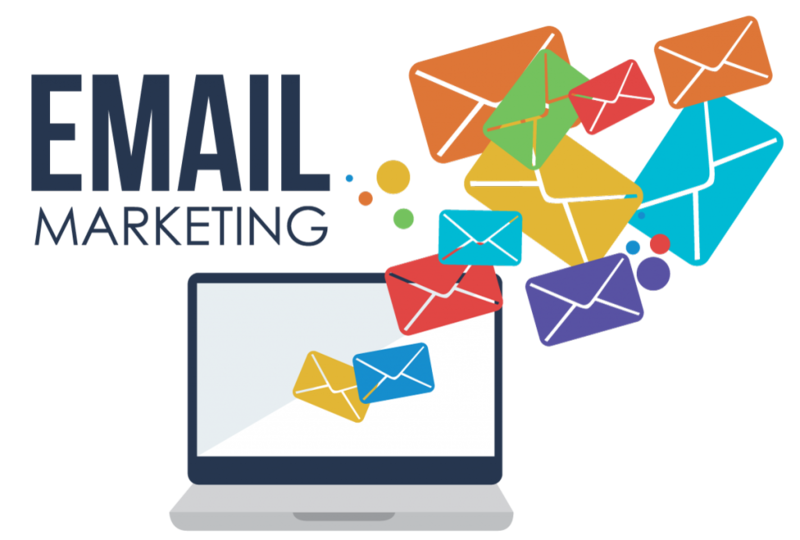 Email marketing covers an assortment of services, from promoting your services to engaging with the customers. Irrespective of the strategy you use, it should be properly planned. For making your strategy effective, it must be on target; otherwise, all your efforts will be in vain as you will not be able to have a higher rate of Return on Investment (ROI). In this article, we have discussed is it worth giving email marketing a try. Have a look! If you want to have an exceptional marketing strategy, you should add email marketing. To grab the attention of your target audience, you cannot ignore email marketing. In present times, customers have a key role to play in every strategy and statistics. Many customers have one email address and they check their addresses almost every day. When you send an email to them, you will be able to reach your customer where they are looking. Moreover, email marketing will not be intrusive like conventional marketing techniques. When you send an email to the subscriber will read it in their free time, they will not be disturbed. This is why it is considered a welcoming form of communication. Furthermore, email marketing can help you build a brand and stay on the top of the mind of your subscriber. By making your email strategy automated, you can reach the inboxes of your customers at the right time. According to Forrester Research, many marketers when given a choice between getting a Facebook fan or adding a subscriber to the email list, they picked email subscriber. One of the reasons to choose an email marketing strategy is that 90% of the emails are delivered to the intended subscriber. On the other hand, your post is only visible to 2% of the Facebook fans in their News Feed. So, if you want to increase your reach, email marketing is the right choice. Another reason for choosing the email marketing by the experienced marketers is that the subscribers have allowed you to send emails to them when they were signing up. While the ads you see on Facebook are based on your Google searches or the sites you have visited. One of the most common reasons to invest in email marketing is the higher Return on Investment (ROI). It was reported that email marketing is capable of generating 3,800% ROI for businesses. This means that every dollar you spend on the email marketing you will get $38 ROI. With the help of email marketing, you can send relevant and personalized messages. Many customers prefer email for receiving promotional content. This is because, for them, social media platforms are a personal medium of communication. It is because you have added only close friends and family and you use it to keep them updated. However, email is a professional form of communication and people want to use it for getting knowledge about services and products. In a study, it was reported that 17% of the people favored social media for promotional content. While 72% of the people expect to receive promotional content through email. With so many choices, it gets dreadful and tiring to pick the right software. This is because there are many things that you need to consider. The best marketing software you can find is EMMA as it will help generate customer interest. With the help of this software, you can connect with your customers and create campaigns that are customer-driven. This will enable you to send thousands of emails within seconds. The market automation will enable you to send the correct email at an appropriate time. Additionally, you can provide unique content to your audience. Thanks to the List segmentation, you can divide your audience according to the categories you created. This will make sure you target the right audience. EMMA offer email analytics, in which you can know about different metrics like click-through rate. This will enable you to learn about your customers. At the EMMA HQ, you can handle all the emails. You will not have to change all the emails manually. With EMMA, you can quickly make changes to all the emails. In the end, email marketing is a crucial way to reach your audience and increase your sales. Email has been around for a long time and it is not going anywhere soon. So, to have an effective strategy, you need to have an email list, personalize them, automate your emails and use analytics to enhance the email marketing strategy.